Would you trust a Pirate Bay co-founder with your credit card number? 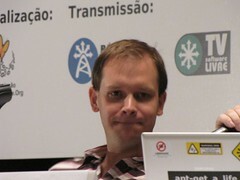 Peter Sunde is best known as one of the founders of The Pirate Bay (TPB), the now-deceased BitTorrent index. In April of this year, Sunde and his fellow TBP operators were found guilty of copyright infringement and were each ordered to pay close to €2.75m in damages.